Upon Shooter's return to USA Network with its season 2 premiere in July, the action/drama did what almost any similarly styled show would. It promised a bigger, more explosive, action-packed season with a more dangerous villain and higher stakes than we had previously seen in season 1. Fortunately, subsequent episodes proved that this tease wasn't just an empty sales pitch, as season 2 proceeded to improve upon the show's rookie run in just about every way heading into last night's finale, 'That'll Be the Day'. Sadly, the finale -- while a strong episode of the series in its own right -- wasn't actually intended to be a finale at all, and it showed. 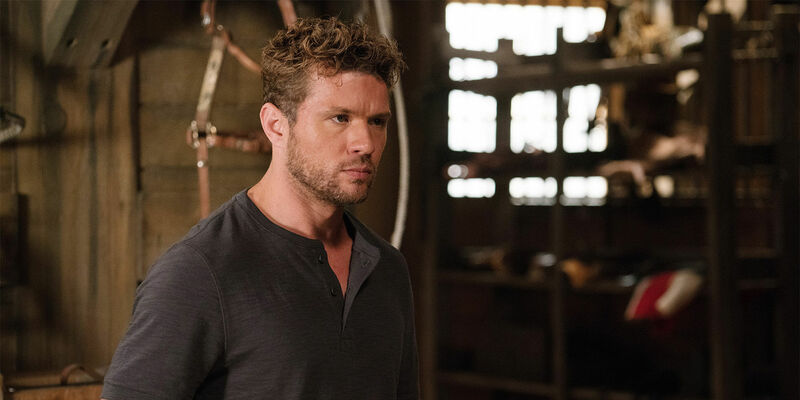 As previously reported shortly after the season premiered, last night's episode -- the eighth of an original 10-episode order -- had been slated to serve as the unplanned finale after an injury to star Ryan Phillippe halted production, cutting the season short. At the time, this news obviously dismayed fans of the series, but that news seems even worse now, given the awkward place in the story season 2 ended up leaving viewers this year. Sure, most savvy TV watchers are used to season-ending cliffhangers (even frustrating, ultra-manufactured ones), but considering season 1 had set a precedent of satisfying resolution, last night's finale is bound to leave Shooter fans wanting. And one could argue that's not necessarily a bad thing -- especially for a network that wants to give viewers even more reason to return -- but remember that we're not talking about just one major cliffhanger here, but several different cliffhangers to important plot points. So, it's not just a matter of wondering how our hero, Bob Lee Swagger (Phillippe), will survive and outwit Solotov (Josh Stewart). We're also left with more questions than answers after the reveal that the Atlas head is also Senator Hayes (Harry Hamlin) and that an empowered Julie (Shantel VanSanten) is about to voluntarily get in harms way alongside an unlikely ally in Isaac (Omar Epps). That's not to say these reveals are bad narrative moves for the show. In fact, they are quite good -- with Julie's role reversal from damsel in distress to potential courageous savior being a particularly satisfying and compelling way to cap off her character arc this season. The real problem is not whether the series is creating interesting plotlines, but rather that these plotlines are supposed to be setting up for some sort of resolute conclusion and not serving as the conclusion on their own. While it's true that the awkward position the series is currently in is no one's fault, it still presents a major concern for everyone involved, including the fans. As of the writing of this review, USA has yet to renew Shooter for a third season, and while we would hope that the show will get another run, the potential that this cliffhanging episode ends up serving as the series finale is certainly a sad and alarming state of affairs. So, with that in mind, perhaps it's even more important now to look at what season 2 of Shooter did accomplish and not let its incompleteness put too much of a damper on things. As mentioned earlier, this season did take some major strides. Not only did it put more of a focus on developing Julie's character while giving her a more prominent role, but is also delivered on the promises it made at the beginning of the season. This year's villain, Solotov, was indeed a much more interesting and capable threat than Lon Scott was to Bob Lee and his team, which successfully raised the stakes this season (those scenes between Solotov as "Travis" and Julie were particularly unnerving, in a good way). Meanwhile, the season's narrative did a better job overall of relying less on gimmicky plot twists or misdirects and instead, advanced the story in a streamlined fashion by rolling out important revelations around the shadowy Atlas organization at a comfortable pace. By solidifying its weaker elements and further improving upon its main strengths, you could say Shooter was just starting to find its groove here toward the end of its sophomore season, which is why it would be a shame for the show to end now. Hopefully, the network green-lights a third season, because it's clear that Shooter has much more of its story to tell. What did you think of the Shooter season 2 finale? Let us know in the comments.